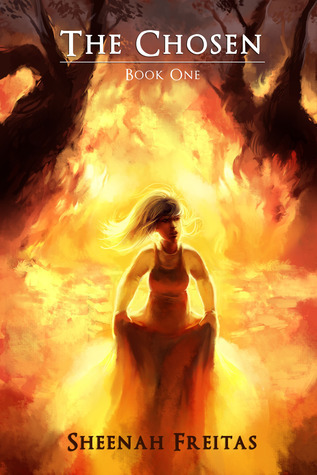 Kaia’s entire life has erupted in flames after an assassin appears and burns her village down. She’s rescued by a god from another planet who requests her help because she’s the descendant of their last savior. Together with Reeze — the only other survivor from her village and her appointed guardian — they set off on a quest to find the treasures of the gods in hopes of preventing a dire prophesy. Well…MG/YA (more MG, I think though) fantasy/adventure. Rrrright. Exactly what my phunk is on. I’ve been putting off reading this book for a couple of week now, but my phunk is not going anywhere, so there we go. Reading in the phunk – fabulous stuff, lol. The plot was fun, interesting and there were a couple of turns there that really took me by surprise. I really enjoyed that. However, the writing was a bit too calming to keep much on the edge of my seat. I think I’m seeing a pattern here with the third person narrative, lately it’s not been doing it for me for some reason. First person is always more exciting, third seems to sort of not engage me emotionally or help me connect with the characters. Take Kaia, She was a lovely (young…) character, I think I would have connected with her more if she’d been speaking to me directly, you know? As things were, the narrative was well done and appealing, but not emotionally gripping – for me. So I didn’t much connect with any of the characters, though I did like them by large. I loved the diversity of the fantastic characters, that’s something I always deeply enjoy in reading fantasy worlds. The tone of writing was more towards the fairy tale end of the specter, and I’m having one of those phunks when I just don’t seem to respond to it much. It read good, clean, well put together, but it didn’t feel exciting – again, to me. It comes as no big surprise, it’s rare I find YA exciting and even rarer that I find MG exciting. So overall, it was a well done book, with nice characters and intriguing adventure, but I wasn’t all that much into it. If you are into that sort of read though, I’m quite sure you’ll like it substantially more, so give it a try.